DIY paper boutonniere is so easy, so beautiful, made from simple materials and you could keep it for years. Why not make this as the DIY wedding flowers. Fresh wedding flowers may be fragrant, but these beautiful DIY paper flowers will last a lifetime. 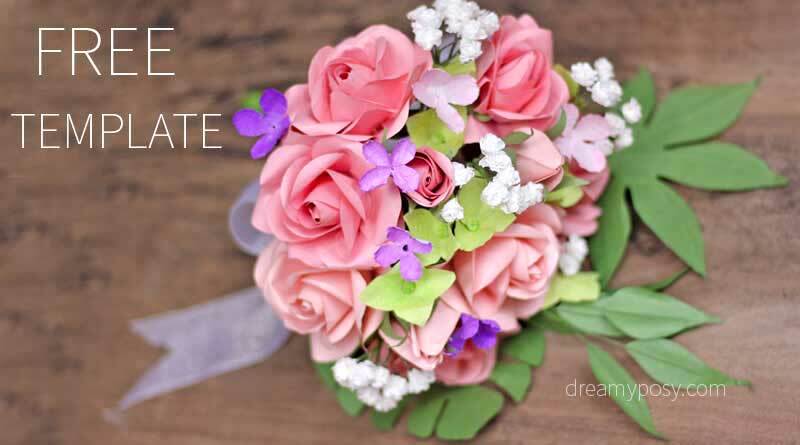 And you know what, this boutonniere is perfect match with this bridal rose paper bouquet tutorial. The following image will help you know some several steps of making this, pin it for your use later. Then simply wrap these with floral tape or ribbon and add a little cut bow on. Voila! 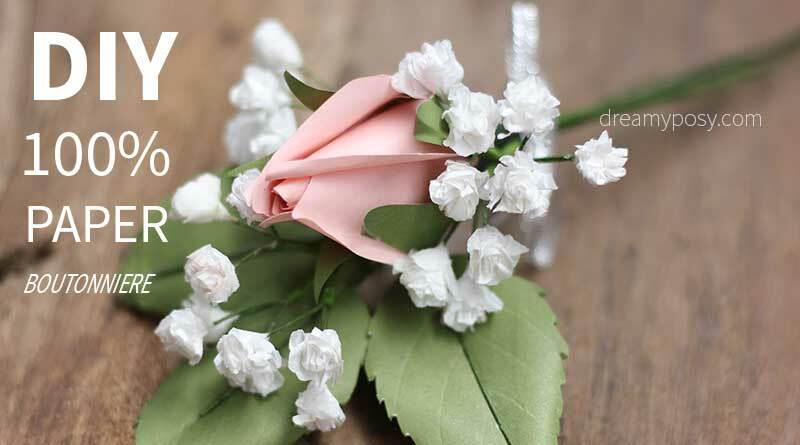 Actually, this is a suggestion for a paper rose boutonniere, but you could DIY any kind of flower you love. 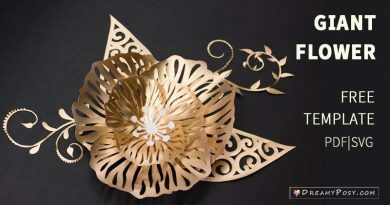 You could DIY paper Daffodil, Daisy, Zinnias, Carnation, Gerbera Daisy, Poppy, Peony, Ranunculus, Gardenia, Lisianthus… Please let me know if there’s another flower you love but I have not made tutorial yet. 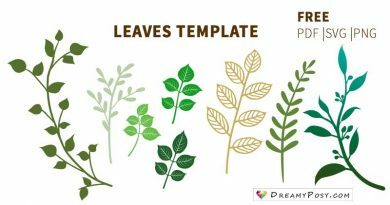 We provide completely free templates and tutorials on this blog, and work hard to earn our living from the advertisements you see on each page. Kindly help by sharing our posts and pictures with your friends, but please do not share our templates directly. We really appreciate your support and look forward to your requests and comments. I think I must be an idiot, I keep pressing buttons to get templates so I can make these roses for my sisters but I can’t get them to download. 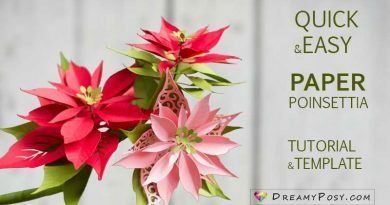 I’ve watched the tutorials several times and I keep clicking free template and DreamyPosy.com thinking that would work but no luck. The main problem I’m very new at using computers, my son just got me this one and I’m 68 trying to learn. Until now I didn’t believe that learning was much harder when you got older….. I no longer think they are kidding. Please Help if you can. Thank you for sharing your videos and creativeness. I enjoy them so much. 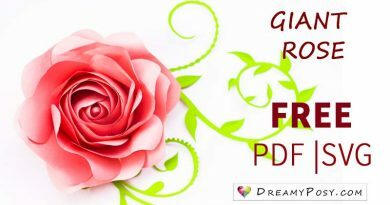 Hi, Love your tutorials and free templates. Can I use crepe paper instead of paper to use your tutorials and templates? Would the instructions be the same? As my experiences, we could not use the same template for crepe paper and regular paper. The crepe paper could be stressed out, so the size of petal could finally be larger. If you want to have a simple tutorial of crepe paper rose tutorial, just drop me a request. I’ll make it soon. Thank you for sharing your fantastic ideas 🙂 Even watching is a really great pleasure. Oh, Thank you so much for your kind words, Joana. I’m happy that you love it. Stay tuned, I will have more tutorials soon. Thank you so much for your beautiful tutorials, videos, etc. Your work is so beautiful, & it is extremely generous of you to make videos as well as tutorials. Thank you for taking time for comment. Please subscribe my youtube to get further tutorials.